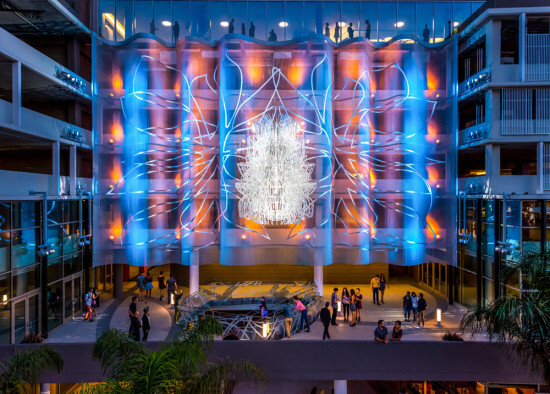 Jerde Partnership’s The Vermont, consisting of glassy 23 and 29-story mixed-use towers on the corner of Wilshire Boulevard and Vermont Avenue in Los Angeles’ Koreatown, opened last summer. 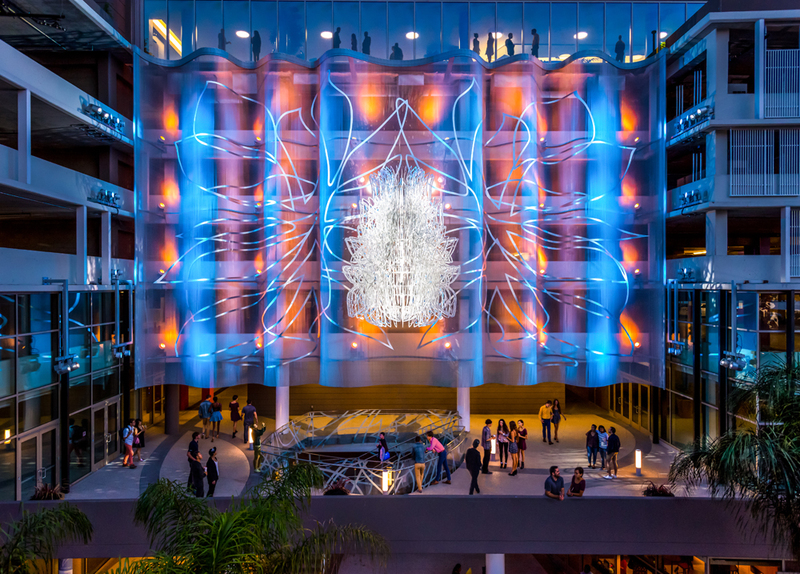 But one of its most memorable features, LA’s Heart of Compassion, a sculpture by Cliff Garten covering the bulk of its above-ground parking structure, is only now officially open. 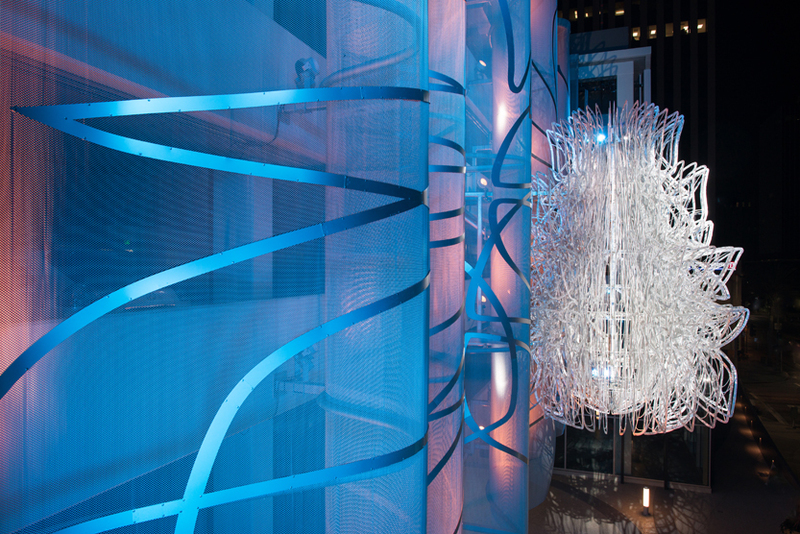 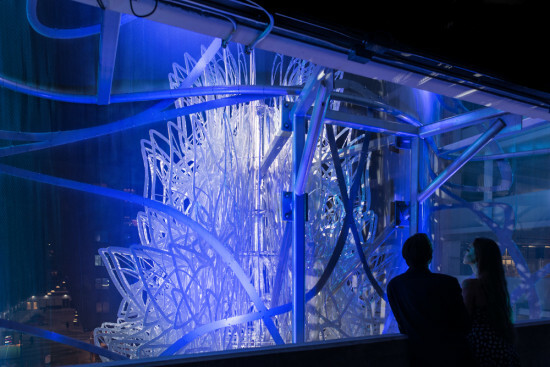 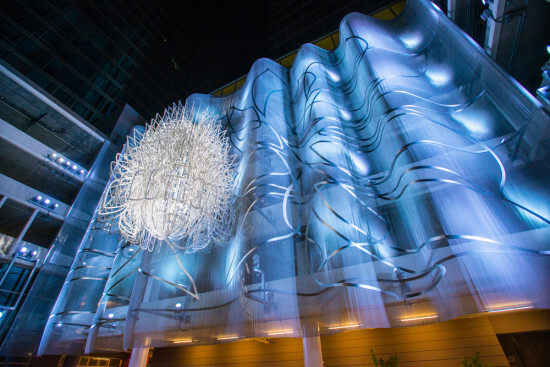 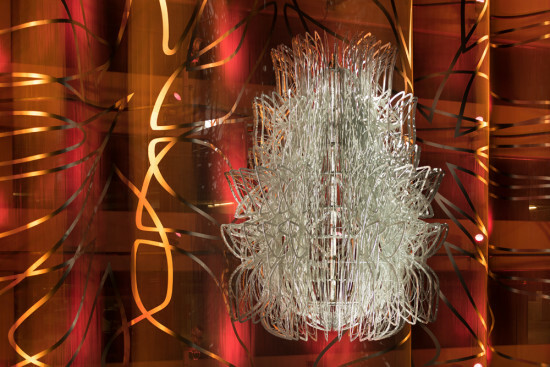 The 20-foot-tall, suspended sculpture is made up of 100 laser cut aluminum lotus “petals” radiating from a steel armature and framed by a 175-foot-long and 45-foot-high undulating metallic screen. 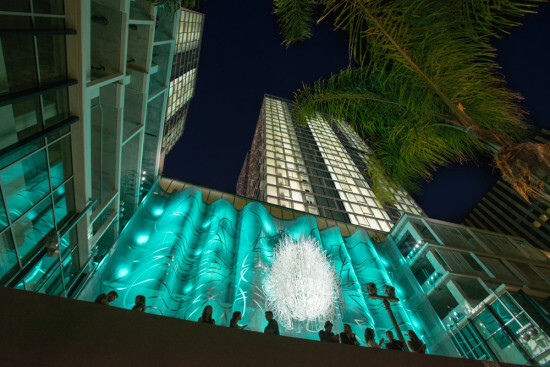 The $1.6 million project, which decomposes into curving aluminum line drawings attached to the screen on both sides, is front, side, and backlit via multi-colored LED lights, creating an active light show.